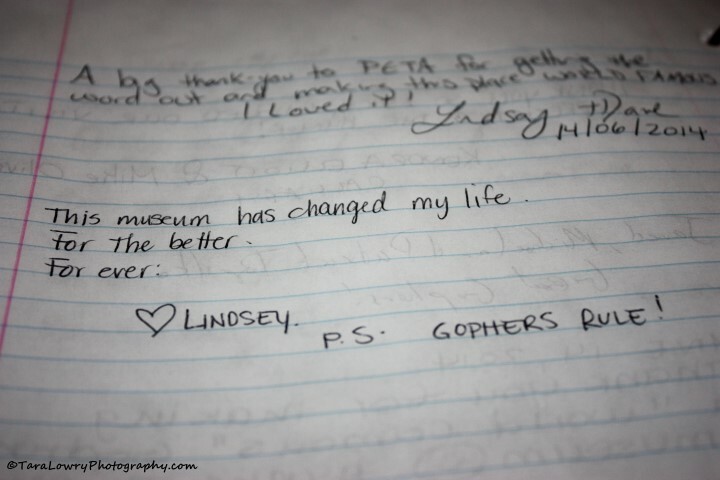 If you dig a bit of (somewhat creepy) eccentric kitsch, then the ‘world famous’ Gopher Hole Museum might just be worth a detour on your road trip through Alberta. This bizarre hole in the wall attraction in the tiny hamlet of Torrington is one of Canada’s stuffiest museums. 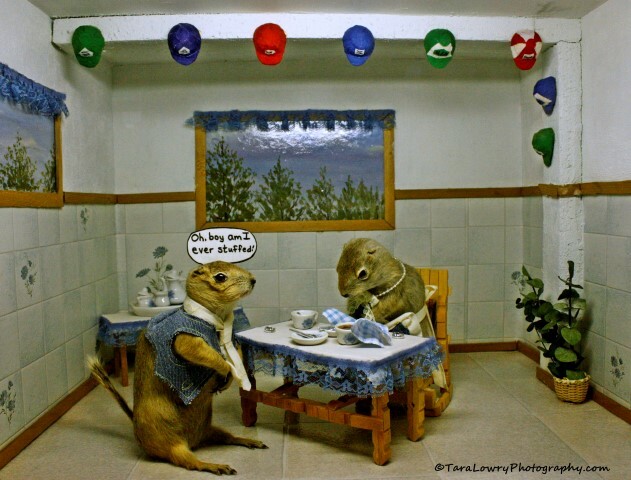 All dressed up with nowhere to go, over 70 taxidermied Richardson’s Ground Squirrels display tiny scenes of rural life. Started in 1996 as a way to increase revenue and help save Torrington from becoming a ghost town (population is less than 200), the Gopher Hole museum was a way to produce some tourism and also document small town life, in kooky Alberta style. Furry farmers, little gopherettes getting their hair done, and even a bushy-tailed bank robber are showcased in a series of dioramas. Known as anthropomorphic taxidermy-where dead animals are stuffed and dressed to portray human qualities-this practice has not been without its criticisms. 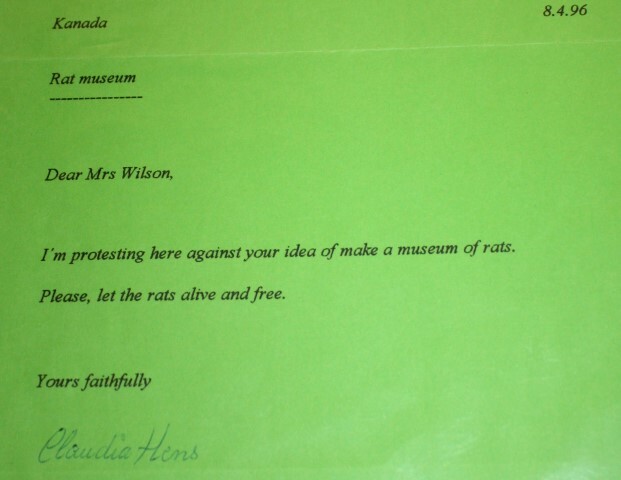 PETA (People for the Ethical Treatment of Animals) voiced concerns over the opening of the unusual museum and condemned the fact that gophers were being killed for entertainment purposes. This led to public outcry (both for and against the museum) and in the end, helped the little oddball place become ‘world (in)famous’. 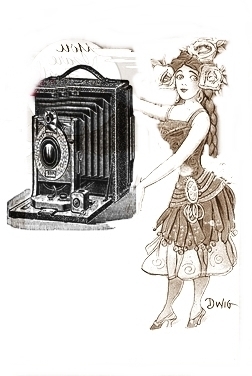 (Don’t worry, if you have not heard of it, it does not necessarily mean that you are lagging behind on world affairs). For those who didn’t grow up in a place where people were far outnumbered by gophers, this museum will probably seem a bit odd. 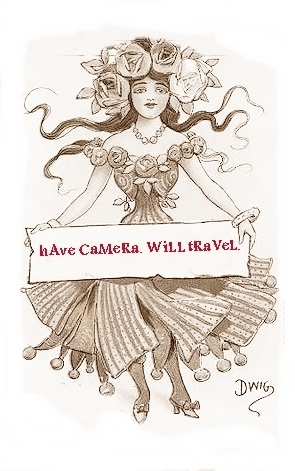 Heck, even for those of us who did, it is a bit out-there. 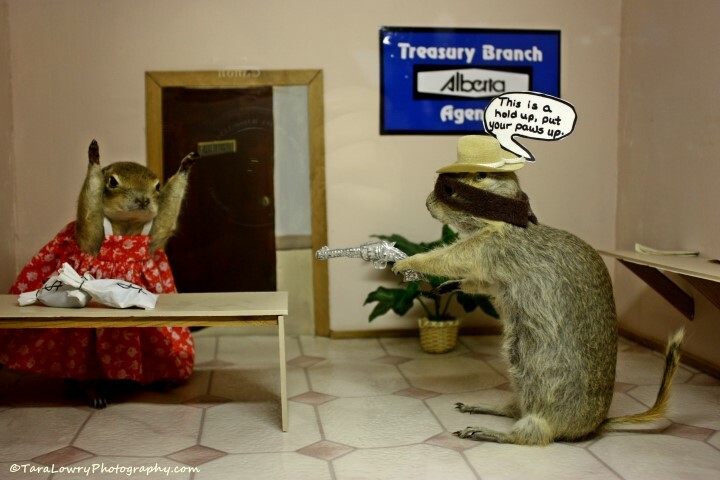 Although not everyone is a fan of the museum, the fact is that gophers are considered to be a problem in rural Alberta and regular culls are very common. If anything, the museum has found a way to honor the mini prairie mascots that would have been exterminated anyway. The museum currently holds some 70 stuffed gophers, which pales in comparison to the number that are killed by individual land owners and exterminators. While the outpouring of support for the little ground-dwellers is to be respected, the fact remains that this museum does not really contribute much to something that has been taking place for decades. 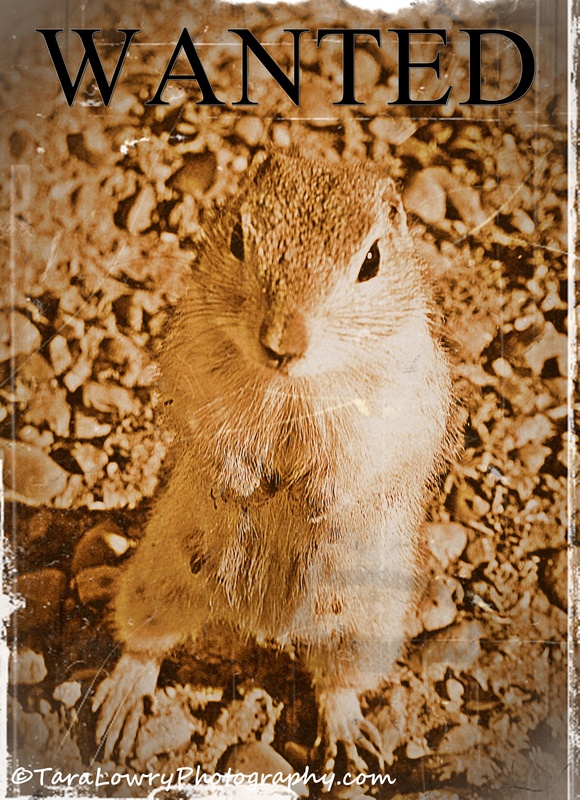 If you are curious to see some gopher tales with your own eyes, then head to Torrington (north from Calgary, on the QE2 highway to provincial route 27) and follow the signs for the museum. The best time to go is in the summer before they hibernate for the winter. Operating hours are 10-5, Monday to Friday. Admission is $2.00. or over HERE for more info. What do you think about this museum? Cute? Creepy? Cruel? Quirky?